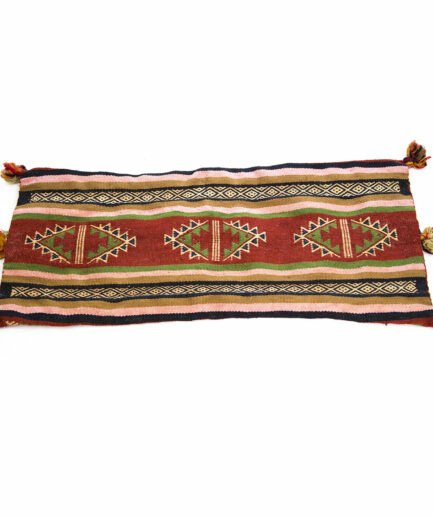 This beautiful Kilim rug featuring beautiful Berber tribal designs that will give your home a peaceful feeling. 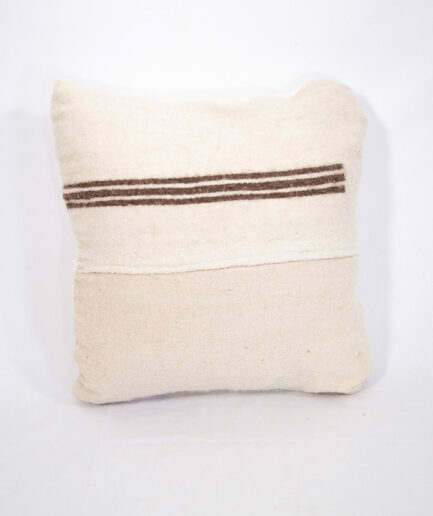 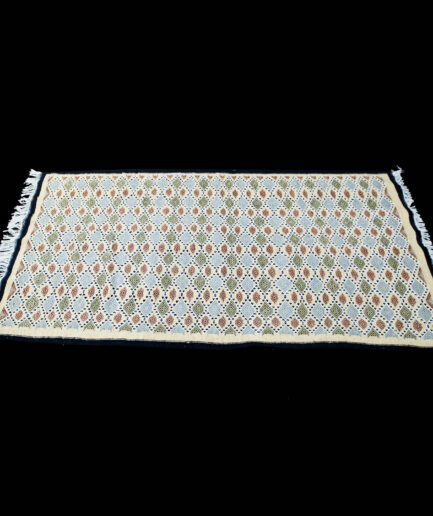 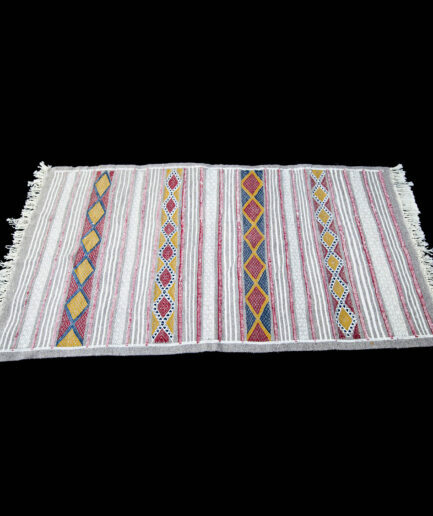 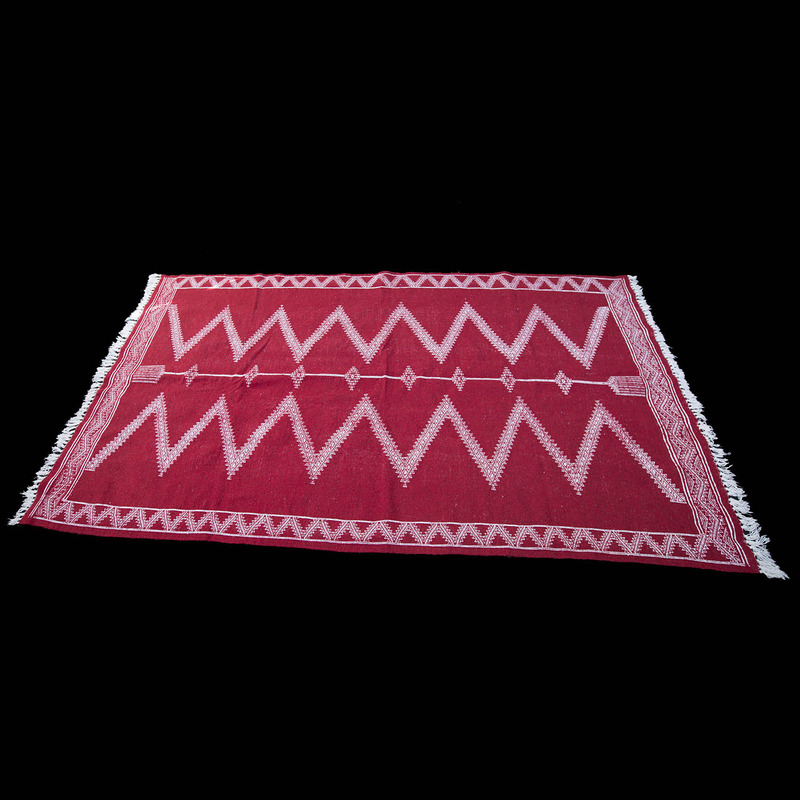 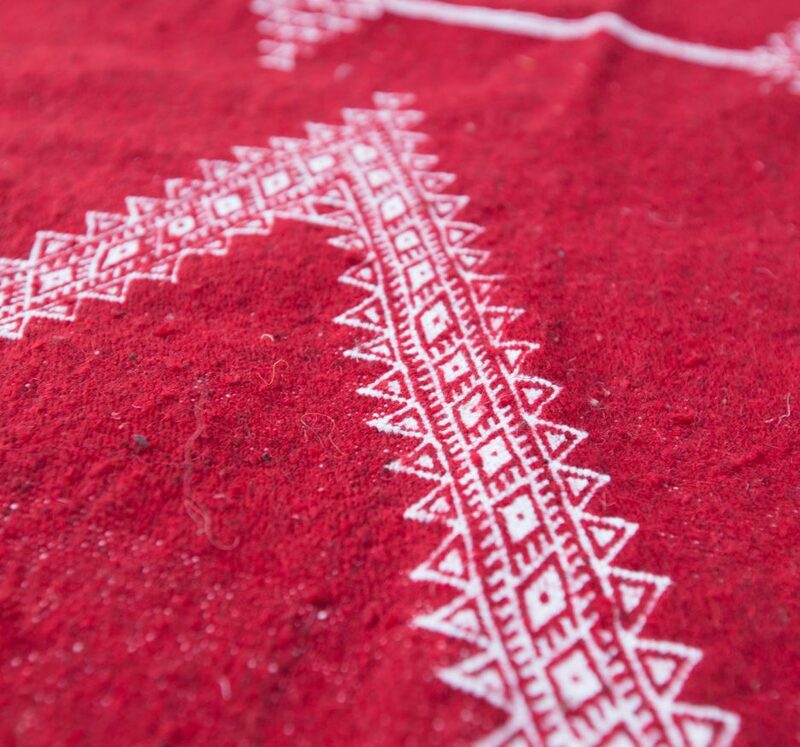 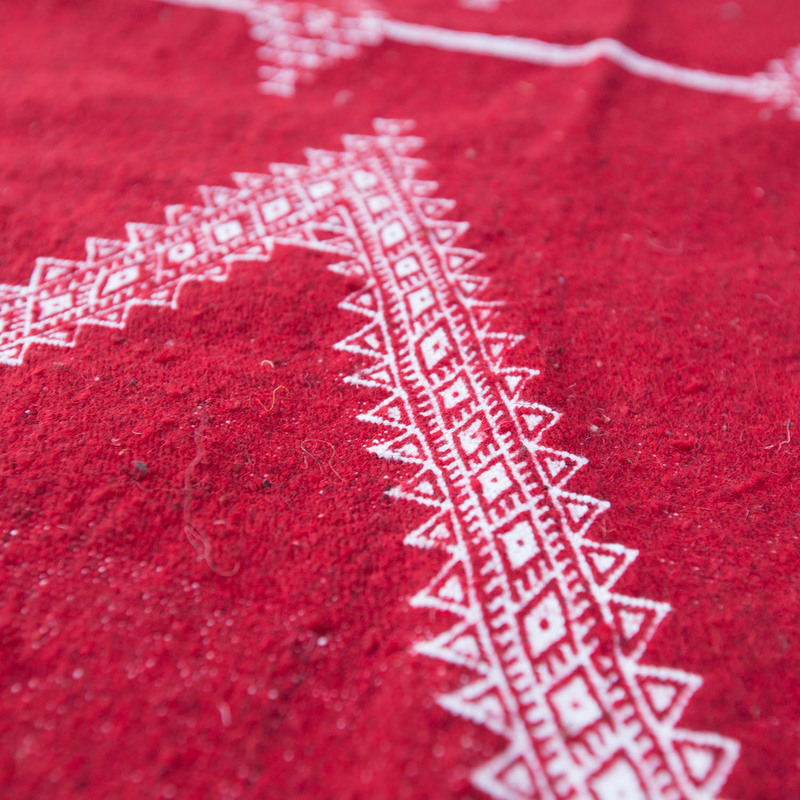 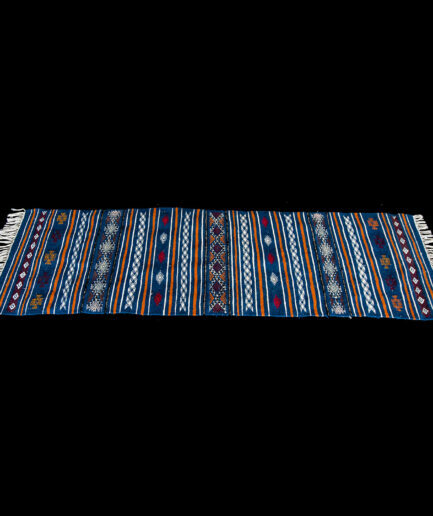 Those designs have been used in making such rugs for over 6000 years in just few villages in Tunisia as they differ from other Kilim rugs for they are a bit thicker and have a higher number of knots per square inch making them more solid and easier to clean. 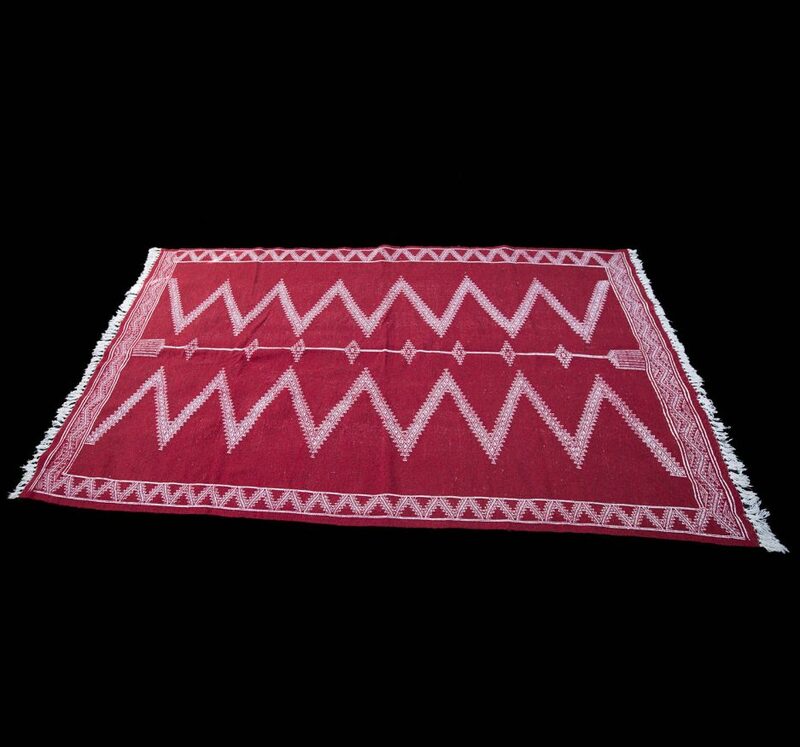 Such rugs last a life time without seeing any alterations.